Buenos Aires is divided into 22 parishes and 2 mission parishes, each with its own church. Apart from these parish churches there are also 50 churches and public chapels along with 80 other chapels. The city has many magnificent churches with splendid architecture. Many of them date back to the 18th century. Many tour companies in the city provide walking tours to the most significant churches in Buenos Aires, some of which are mentioned below. Built between the years 1710 and 1734, this is the oldest colonial church in Buenos Aires. It is famous for being a place of resistance during the English invasions of 1806. 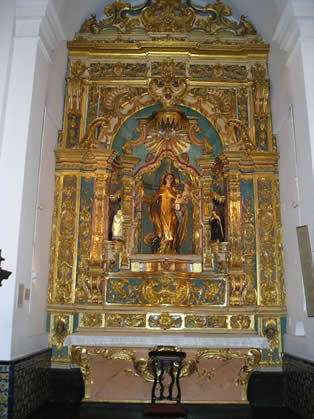 The church has tunnels beneath which can be visited and stands out with its Baroque fa�ade. 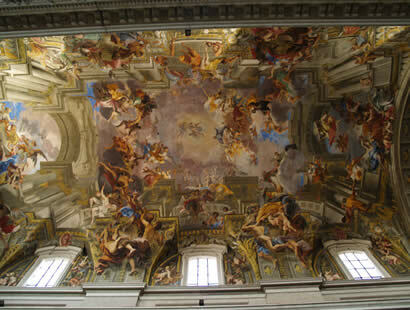 Many influential 18th century paintings can also be viewed here, including the sliding canvas of San Ignacio de Loyola which dates back to 1767. Built in 1730 by a Jesuit architect, this is one of the oldest churches in Buenos Aires. Reconstruction in the early 20th century was added to give it a German baroque fa�ade. Statues of Saint Frances of Assisi, Christopher Columbus and Dante, among others can be seen in this exquisite place. Inside the church one can find an extensive library, and a stunning tapestry created by Argentine artist Horacio Butler. This is a beautiful church built between 1706 and 1732 by the Franciscans. Pilar served as a refuge where the monks of Recoleto lived until 1820 and is also one of the highlights of the most prestigious neighbourhood in Buenos Aires. It is situated immediately next to the cemetery in Recoleta. Widely believed to be the most attractive church in the city, Nuestra Se�ora del Pilar is a national historic monument. With 5 impressive sky-blue domes, this Muscovite style church stands out among the Buenos Aires architecture. The church is characterised with Venetian mosaics, stained glass windows, and icons sent from St. Petersburg by Czar Nicholas II and Czarina Alexandra to adorn the church. The Metropolitan Cathedral is main Catholic Church in Buenos Aires. It is located in the city centre, overlooking the Plaza de Mayo and is easy to spot with its beautiful, neo-classic architecture. The cathedral serves as a resting place for the ashes of General Jos� de San Martin who was the liberator of Argentina, Chile and Peru. Entry is free with guided tours every weekday. 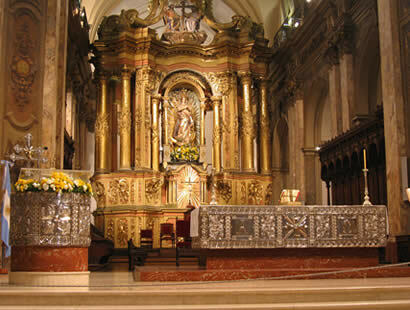 This church and convent is located in the barrio of Montserrat and dates back the end of the XVI century. Located here is the mausoleum paying tribute to that of Gral. Manuel Belgrano, the creator of the Argentinean flag. The Church and Convent of Santo Domingo consist of a large base of red granite with two reliefs depicting the Flag and the Battle of Tucum�n.